Thor&#39;s Beauty School: Why should girls have all the fun? Thor's Beauty School: Why should girls have all the fun? For your precocious daughter or your bi-curious son. Available at Target, Toys-R-Us, and BelAmi.com. 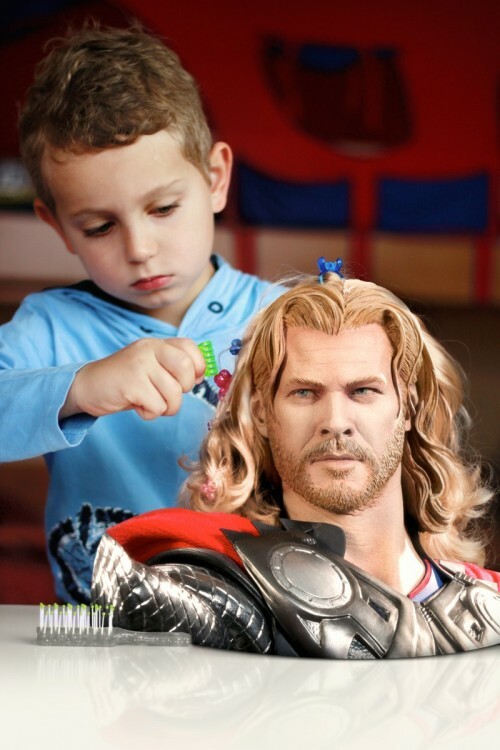 i love how serious the lil' man is fixin' up Thor real pretty! He's focused like a laser.